Our original research piece created a firestorm. It garnered over 40,000 views and 135 comments. The strategy has not overaged 70% per year. The strategy, over the long term, averages 50% per year. On May 29, 2014, I explored a strategy which integrated two strategies my firm has invented: Hedged Contango Capture and Hedged Convexity Capture. My macro view was that unique intellectual property, based upon science, rather than superstition, would drive investment performance in the future. In addition, I still believe that rules-based strategy indices will eclipse most hedge funds due to their transparency, liquidity, and low costs. The idea behind Hedged Convexity Capture is to benefit from the path dependent negative convexity that has been widely observed in leveraged ETP products in an efficient risk/reward structure which dramatically lowers the potentially ruinous drawdowns of shorting leveraged inverse ETP products. The idea behind Hedged Contango Capture is that profits are possible by acting as a synthetic insurance company which sells expensive insurance in the volatility market, then synthetically reinsures that market risk with long duration government bonds. Combining the benefits of Hedged Contango Capture with Hedged Convexity Capture is really combining the advantages of exploiting two different major market inefficiencies. By targeting less well known and understood factors (inefficiencies) which are purely mathematical in nature, as opposed to intuitive factors which are well-known to equity fundamental practitioners and economists, we can achieve outsized returns. 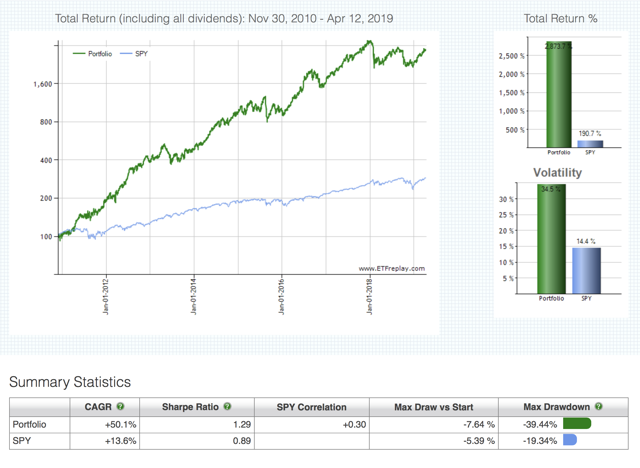 Unlike conventional factor-based equity quant market neutral strategies which are dollar neutral while being exposed to factors such as quality, growth, and valuation, we are gaining exposure to two factors - path dependent negative convexity and contango capture - which is not as widely harvested in the investment world and are, therefore, much more profitable to target and to capture. Evidence-based multi-asset class indices can beat the stock market. And the mechanism is clearly defined evidence-based insights into the long-term drivers of robust, sustainable outperformance. However, I caution readers that this index should serve as a building block as part of a larger strategy. It should not stand alone. Here's why: the index is exposed to largely unhedged, open-ended risks. Indeed, multiple sources of both alpha generation and hedging are key for robust indices. In addition, dynamic entry and exit rules are an essential overlay. We will examine both issues in the future as we explore new multi-factor exposures within a quant global macro context for portfolio strategy. For institutional strength algorithms, it is key for there to be closed-end, clearly defined risks, and it is key for there to be dynamic entry and exit rules which further increase the MAR and Sharpe of the strategy. This strategy index has neither. However, it is an excellent example of the profound performance that can be harvested from Hedged Contango Capture and Hedged Convexity Capture. I. Short TVIX (TVIX) with 25% of the dollar value of the portfolio II. 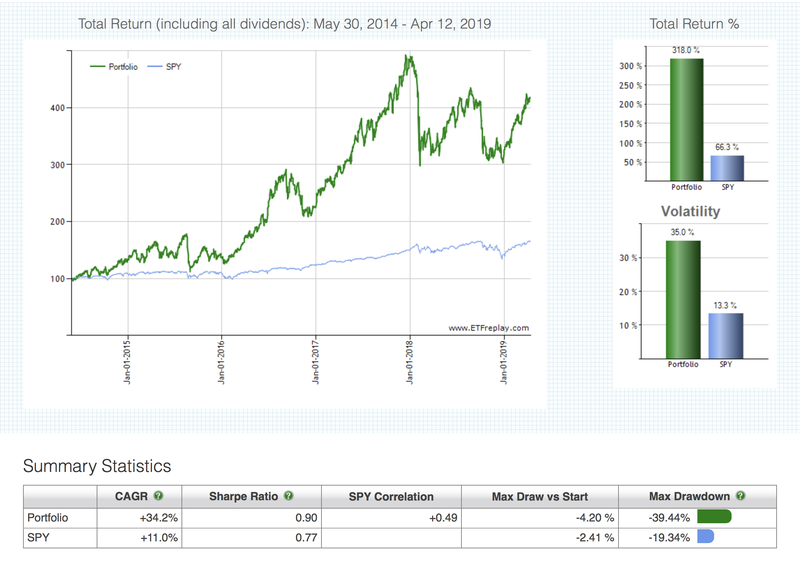 Short TMV (TMV) with 75% of the dollar value of the portfolio III. Rebalance weekly to maintain the 25%/75% dollar value split between the positions. The strategy is not averaging 70% per year. It is averaging 50% per year. Impressively, the low correlation to the S&P 500 means that this is mostly alpha. 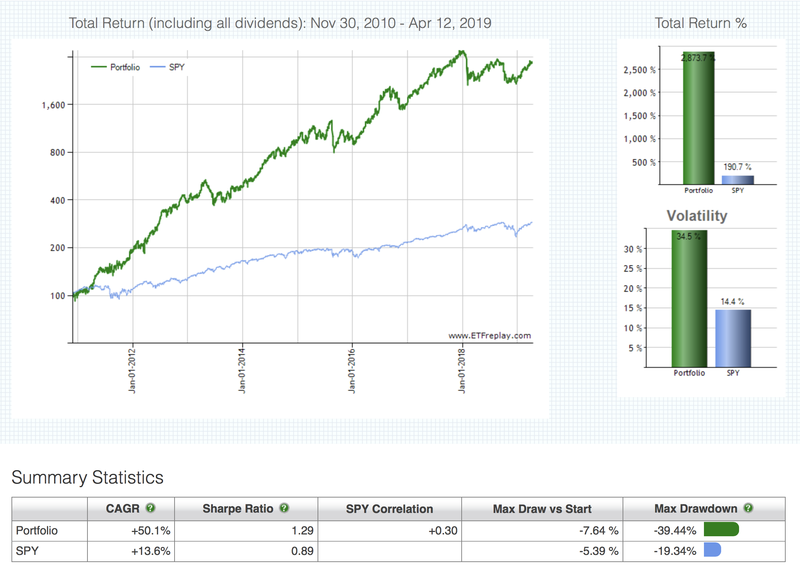 For those who claimed the strategy would not outperform the S&P 500 on a walk-forward basis, they were completely wrong. Here is a graph of the strategy's performance since the day after its publication. Not bad for a publicly-released thought piece on two robust sources of alpha generation. However, we can do better, and we have. Multi-asset class frameworks which contain multiple sources of both alpha generation, and hedging, is key. We will explore those further in publicly-released pieces. Even more importantly, dynamic entry and exit rules can dramatically increase a strategy's performance and reduce risk. We will explore those algorithms in our private subscription service. Thanks for reading.